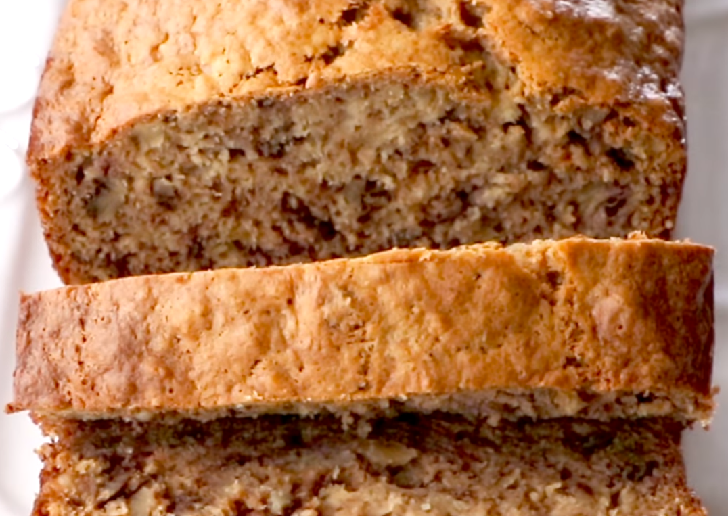 Banana nut bread is a favorite recipe of mine, especially for weekends. There’s nothing I enjoy more on weekend mornings than to cuddle up with a good book, a great cup of coffee in one hand and enjoy a slice of moist and delicious banana nut bread. ⏩Preheat oven to 325°. Spray a 9x5 inch loaf pan with cooking spray and set aside. ⏩Peel and add bananas to a large bowl and mash using a fork. ⏩Add applesauce, sour cream, eggs, vanilla extract and whisk everything together. ⏩Add the sugars and whisk until the sugar is well incorporated into the batter. ⏩Add flour, salt, baking soda and baking powder and stir using a wooden spoon. Do not over mix, just enough until you don't see the flour anymore. ⏩Pour the batter in the prepared loaf pan and bake for about 40 to 50 min or until done.